Through public appearances, radio and television interviews, and his many articles and books, Manning Marable has become one of America's most prominent commentators on race relations and African-American politics. 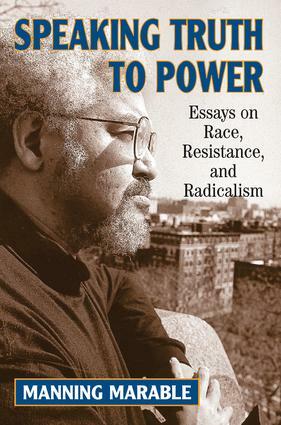 Speaking Truth to Power brings together for the first time Marable's major writings on black politics, peace, and social justice.The book traces the changing role of race within the American political system since the Civil Rights Movement. It also charts the author's striking evolution of political ideas, moving toward a political analysis of multicultural democracy, social justice, and egalitarian pluralism.